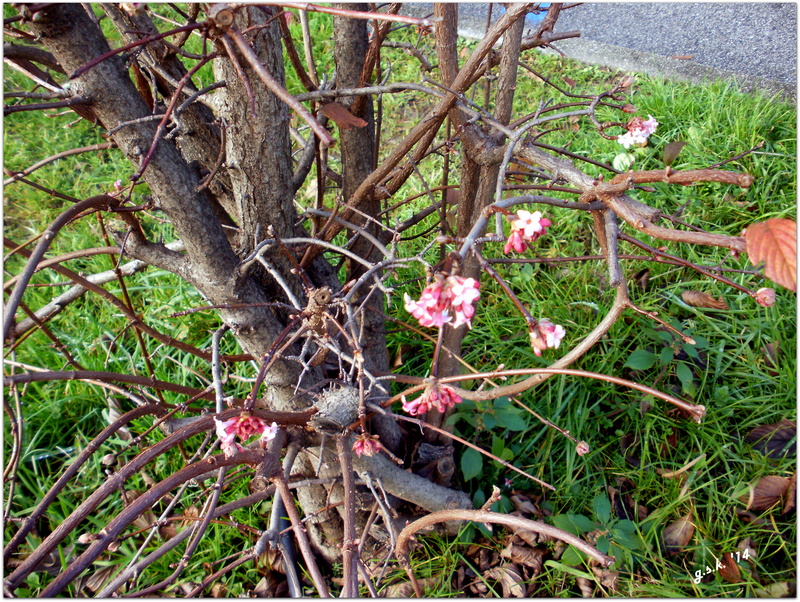 What better beginning than the first blooms…at the dawn of winter…the promise of the New year beginnings! 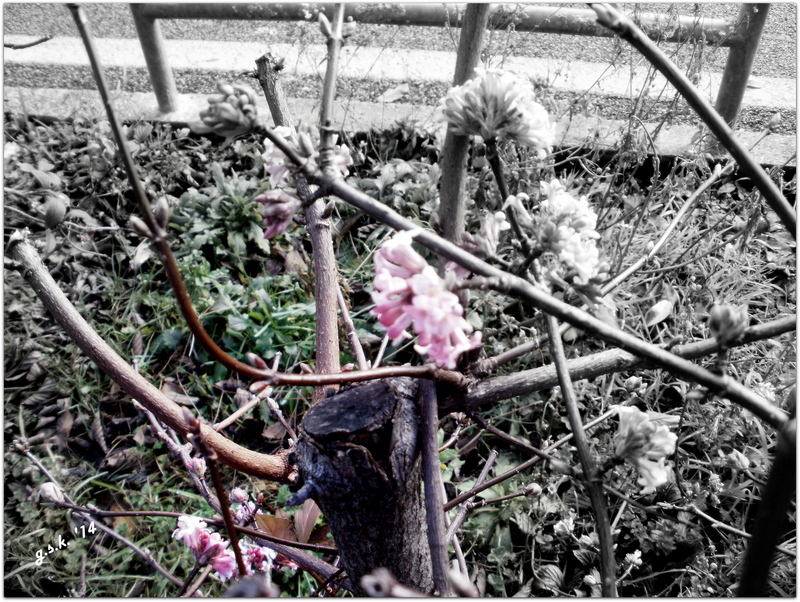 These photographs were taken on New Year’s morning…here it was bright and the sun was shining as though it were spring. The air was a tingle with cold however. These bushes get potted down really drastically in October and November, but they immediately begin to push out their first blooms. Arco, though, as I think I’ve told you, is a very special area. Though there may be a blizzard with 50 feet of snow (uhm, yes, I’m exaggerating) just 5 kilometers away, over on the other side of the passes which lead outside of our valley. Here the temperature never goes lower than around – 10° C (which is 14° F). It’s not the eternal spring time that I love on the African plateaus like Asmara, Eritrea or Addis Abeba, Ethiopia…but not bad. Thanks for peeking in…I can just imagine this bush a couple of short months from now…I hope to remember to show it to you! Ciao!But before I go, here are some other photographers who’ve come up with some great beginnings! Weekly Photo Challenge: Beginning | Steve Says…. Weekly Photo Challenge: Beginning (First Workday 2014) | What’s (in) the picture? Weekly Photo Challenge: Beginning | What Is It?!? This entry was posted in Weekly Photo Challenges and tagged Arco, Beginnings, Daily prompt, DP Challenge, Italy, life, postaday, Trentino. Bookmark the permalink. I love blooms of any kind, I sue to own a greenhouse, so anything like this is appealing to me,especially the ones who defy the elements. Great beginning!! Thanks for the pingback!! Have a nice weekend!